What does 2016 have in store in terms of conferences and events, exhibitions, art fairs and festivals? We take a month-by-month look at what the year has to offer – and we'll be adding new events for later in the year as they're confirmed. Throughout 2016, Blackpool’s Grundy Art Gallery will be looking at its collection anew through a series of exhibitions, public progammes and artist commissions. Ben Cain, the first artist to respond, has in turn commissioned locally-based artists and craftspeople to recreate objects depicted in 16 paintings from the collection. This staged display of objects and artworks is exhibited at the Grundy throughout January. Thoughout 2016, Grundy Art Gallery, Blackpool. Artichoke brings its popular and acclaimed festival of light to London. Architectural locations in the West End and Kings Cross will be transformed with large-scale, interactive and immersive installations, sculptures and projections from artists and companies, including Julian Opie, Nathaniel Rackowe and French collective TILT. In Mayfair, another French duo, Benedetto Bufalino and Benoit Deseille, will transform a telephone box into an aquarium of exotic fish. 14-17 January, various locations in the West End and Kings Cross, London. Two shows from the acclaimed filmmaker open this month. In Bristol it’s Vertigo Sea, a beautifully harrowing three-screen exploration of our relationship with and exploitation of the sea, which premiered at the 2015 Venice Biennale. In London, meanwhile, Lisson Gallery will be showcasing a series of new films by the artist. The London Art Fair continues to diversify its annual offer. Alongside the main fair of stalls offering modern and contemporary art, the Art Projects section introduces younger galleries, plus projects, installations and curated shows. Also guest-curated is the extensive Photo50 photography exhibition. As the fair’s museum partner, Jerwood Gallery presents a curated exhibition, Coast, of works from its collection of 20th and 21st century British art. A talks and events programme features discussions including ‘Performance Art and the Market’ in association with Iniva. 20-24 January, Business Design Centre, Islington, London. Two exhibitions open at The Tetley this January. A retrospective solo show of works spanning 30 years by Glasgow-based artist Roger Palmer includes a large-scale new commission rendering an 8.5m mixed-media palmtree in the Atrium Gallery. Picture Book is a group exhibition of image-based artists books, ranging from the handmade to graphic novels, that leads up to the PAGES artists’ book fair in March. The rather brilliant website for UTOPIA 2016 – part of Jeremy Deller and Fraser Muggeridge Studio’s corporate identity for this year-long festival – allows the audience to toggle between an unknown alphabet and its English translation, already bringing the audience into the world of Thomas Moore’s Utopia. Celebrating the 500th anniversary of its publication, a programme of exhibitions, games, artworks, fairs and other cultural events will provide a space for imagination and ‘dreams to take root’. From 25 January, Somerset House, London. Coinciding with Simon Denny’s current Serpentine Sackler Gallery exhibition that investigates the boundaries between hacking and surveillance, the artist will be in conversation with researchers, journalists and activists who similarly explore contested territories within art, the corporate world, governmental activity and activism. 28 January, Royal College of Art Battersea, London. Taking the title for this show from video artist Nam June Paik’s visionary term, curator Omar Kholeif traces the history and impact of the internet and computer technologies on artists and their work. Presented in a reverse chronological order, the exhibition moves back in time, presenting new and rarely seen works from 70 artists including Cory Arcangel, Constant Dullaart and Experiments in Art and Technology (E.A.T). Spanning a 50 year period, Electronic Superhighway promises the potential to be a seminal exhibition. 50 years of Modern Art Oxford. Unusually, for this exhibition, Modern Art Oxford is inviting the public to see behind the scenes of exhibition production, making the exhibition take-down and change-over from 22 March open to visitors. 6 February-20 March, Modern Art Oxford, Oxford. All the artists showing here have graduated from one of the West Midlands’ undergraduate and postgraduate fine art degree courses in the past three years. 43 artists have been chosen for the 2016 showcase by this year’s selectors Sonia Boyce, John Stezaker and Katharine Stout. 12 February-15 May, across Birmingham, Coventry and Wolverhampton. This touring exhibition featuring 40 artists’ work is taking place across three venues in Edinburgh: Inverleith House, Scottish National Gallery of Modern Art and Talbot Rice Gallery. Later in the year it heads to various venues in Norwich, before wrapping up in Southampton. See our review from opening show in Leeds here. 13 February-8 May, Inverleith House, Scottish National Gallery of Modern Art, Talbot Rice Gallery, Edinburgh. Over the last couple of years, Kent-based artist Rose Wylie has seen her profile rise considerably. Following her John Moores Painting Prize win in 2014, she was last year elected a Senior Royal Academician by the Royal Academy. This exhibition of her superb paintings will no doubt illustrate why. 13 February-29 May, Chapter, Cardiff. Led by artist and writer Alistair Gentry, this practical workshop for artists is about promoting your work for a range of different audiences and outcomes by using language effectively and avoiding jargon. Organised by Northumberland Arts Development and part of a-n’s professional development programme that also includes networking events, bursaries, advice and guidance as well as online toolkits and expert guides. A full-day workshop empowering artists and arts professionals to fundraise effectively and create a financial strategy for their projects. Created, developed and delivered by Emilia Telese, an Italian artist working with performance, visual, site-specific and video art, it is part of a-n’s professional development programme. 5 & 6 March, The Tetley, Leeds. This biennial festival, now under the direction of curator Martin Clark, takes place at arts venues across the city including Bloc Projects, S1 Artspace, Sheffield Hallam University, Site Gallery and Yorkshire Artspace. Over six weeks, it brings together new commissions, exhibitions and performances, with events taking place in venues and off-site locations. 19 March-30 April, various venues, Sheffield. Australia’s largest contemporary visual arts festival showcases the work of over 1600 artists from over 100 countries. The three-month exhibition also features a host of artist talks, performances, forums, guided tours, family days and other special events. 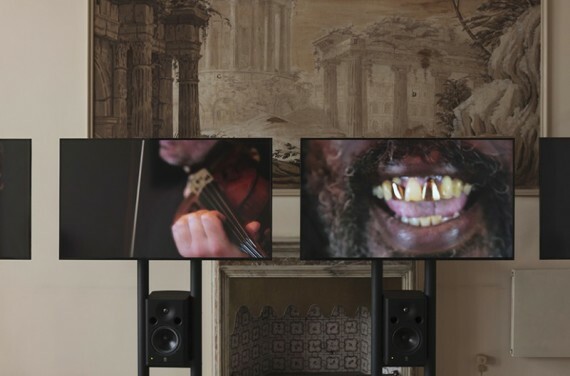 This 20th edition, directed by former Hayward Gallery chief curator Stephanie Rosenthal, represents a new era for the Biennale after the 2014 edition was embroiled in controversy over the actions of main sponsor, Transfield, which led to artists withdrawing and the festival eventually severing links with the company. 18 March-5 June, Sydney, Australia. Last year, Glasgow-based artist Graham Fagen had the honour of representing Scotland at the Venice Biennale. Here he is reinterpreting that body of work, with the resulting sculpture, drawing and moving images installed in the various historic Arts and Crafts rooms at Hospitalfield, commissioner and curator of the Venice show. 19 March-17 April, Hospitalfield House, Arbroath, Angus, Scotland. The international festival of digital culture and ideas returns for its 21st year. It combines a large scale cultural event – encompassing art, music and discussion – with new technology, novel research methods and playful social experiments. 30 March-2 April, various venues, Manchester. Early bird conference tickets £100 + booking fee. Organised by Open Theatre Company and supported by Arts Council England, this two-day conference in Birmingham will explore new thinking on artistic, cultural and creative work with young people with learning disabilities. 9-10 March, Birmingham Hippodrome, Birmingham. A full-day workshop empowering artists and arts professionals to fundraise effectively and create a financial strategy for their projects. Created, developed and delivered by Emilia Telese, an Italian artist working with performance, visual, site-specific and video art. Part of a-n’s professional development programme. Through a mixture of presentation and exercises, this one-day seminar de-mystifies the art world and provides concrete ideas for how you might enable your work to get under the radar of people most pertinent to your practice. Led by Lucy Day, curator at Day + Gluckman. Part of a-n’s professional development programme. The ‘artist-led’ fair that enables artists to showcase their work to gallerists, curators, critics and collectors returns. The most recent edition in October 2015 attracted well over 14,000 art buyers. 7-10 April, Victoria House, London. The biennial festival of contemporary art returns for its seventh edition and the second under current director Sarah McCrory. Taking place at various venues across the city, it features over 200 artists in 36 solo and 40 group shows. 8-15 April, preview Thursday 7 April, various venues, Glasgow. A 12-week programme of exhibitions and events taking place place across Limerick City. The 37th edition of the event will be curated by Koyo Kouoh, founding director of RAW Material Company, based in Dakar. 16 April-10 July 2016, Limerick City, Ireland. This international fair for artist-run galleries and other artists’ initiatives is organised by a small group, most of whom are artists themselves. Since 2007 it has featured representatives from over 50 countries, with the resulting event a direct reaction to developments in the commercial art fair market. 21-24 April, Svarta Huset, Telefonplan, Stockholm, Sweden. The Society for Artistic Research (SAR) is an international, non-profit organisation that disseminates artistic research in order to create knowledge and insight. They have organised this conference at the Hague, combining keynote presentations and workshops, the theme of which is ‘Writing’. 28-29 April, University of the Arts The Hague & Leiden University, The Hague, Netherlands. Curated and commissioned visual arts festival in Brighton and Hove that sites works in domestic and unusual spaces during the Brighton Festival season. For this, its eighth edition, the festival will be guest curated by Celia Davies, director of Photoworks. Dates tbc, various venues, Brighton and Hove. Held at the Royal Academy of Arts, the London Original Print Fair is London’s longest running art fair. It features a vast array of printmaking, ranging from old woodcuts by Dürer to pieces by contemporary artists. This annual conference organised by the Contemporary Art Society explores how museums can work to engage with wider audiences and add value to their displays. It will look at strategies including inviting artists to curate collections and innovative partnerships to open collections to new audiences through digital technologies. 13 May, Museum of London, London EC2. This exhibition explores the depth and variety of British ceramic art and is the first show at Tate St Ives following its closure for redevelopment. 21 May-2 October, Tate, St Ives, Cornwall. Taking place in the cavernous space of the Olympia, London, this art fair will feature over 150 practitioners. Originally started in 2013 by Tim Etchells and Sandy Angus, the original founders of ART HK, also on offer are a range of informal talks and panel discussions. Ever since its inception in 1996 when it was founded by Klaus Biesenbach (founding director of KW Institute for Contemporary Art), Berlin Biennale has developed the aim of giving young artists the opportunity to introduce themselves to broad sections of the public. Curated by New York collective DIS (Lauren Boyle, Solomon Chase, Marco Roso and David Toro), it returns for its ninth edition, taking place at various venues across the city. 4 June-18 September, various venues, Berlin, Germany. 3-12 June 2016, various locations, Whitstable, Kent. Originally set to coincide with the 2012 Olympics, the delayed Tate Modern extension will feature a new 10-storey building above The Tanks performance space, adding over 60% more gallery space – 20,700 square metres – to the site. 17 June, Tate Modern, London. 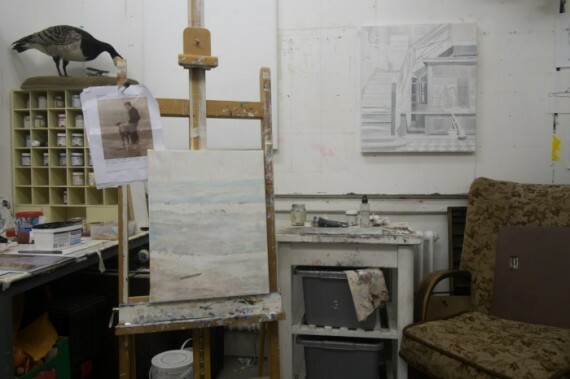 This touring exhibition featuring work by 40 artists is taking place across two venues in Norwich: Norwich University of the Arts and Norwich Castle Museum and Art Gallery. Later in the year it heads to various venues in Southampton. 24 June – 4 September, Norwich Castle Museum and art Gallery, Norwich University of the Arts, Norwich. The nomadic European biennial of contemporary art arrives in Zurich. The eleventh edition will be curated by German artist Christian Jankowski, who has previously participated in the Venice Biennale in 1999 and 2013, as well as the 2002 Whitney Biennial. Taking place across the city in both indoor and outdoor sites, 37 international artists will exhibit specially commissioned work in galleries, museums, pubs, unused spaces, stations, hotels, parking lots, shops and supermarkets. Artists exhibiting include: Mark Leckey, Marvin Gaye Chetwynd, Lucy Beech,Lawrence Abu Hamdan, Mariana Castillo Deball, Oliver Laric and Arseny Zhilyaev. 9 July – 16 October, various locations, Liverpool. The biennial John Moores Painting Prize returns to the Walker Art Gallery. The jurors for the 2016 edition are: Gillian Carnegie, Richard Davey, Ansel Krut, Phoebe Unwin and Ding Yi. Won by Rose Wylie in 2014, the overall winner will receive £25,000 prize money. 9 July – 27 November, Walker Art Gallery, Liverpool. The photography of Birmingham-based artist Stuart Whipps, currently featured in British Art Show 8, is the focus of Spike Island’s summer exhibition. 9 July-18 September, Spike Island, Bristol. Now in its twelfth year, this annual festival brings together the Scottish capital’s leading galleries, museums and artist-run spaces, alongside new public art commissions by established and emerging artists. 28 July-28 August, various venues, Edinburgh. The third biennial International Teaching Artists Conference (ITAC3) comes to Scotland in partnership with Creative Scotland, Paul Hamlyn Foundaton, ArtWorks Alliance and numerous international partners. Founded and first produced in Norway in 2012, the Edinburgh edition, produced by Red Bridge Arts, will be a three-day conference with speakers including 2015 Turner Prize winners Assemble and the celebrated choreographer Royston Maldoom. There are a range of ticket prices and advance booking rates for artists, employers and organisations within the fields of community-participatory-socially engaged arts, education and learning. Expect a hotly debated shortlist, an emerging odds-on favourite, and a shock underdog victory as the Turner Prize heads back to its London home for 2016 following its temporary home at Tramway, Glasgow. The winner will be announced in December. 27 September-8 January 2017, Tate Britain, London. Drawing on the everyday quirks of his own life and the world around him, Welsh artist Bedwyr Williams creates bizarre scenarios through his immersive installations. Featuring performance, sculpture, painting and video. 29 September-8 Jan 2017, Barbican, London. The third edition of Bristol Biennial will feature a programme of exhibitions, performances and events in venues, outdoor spaces and unexpected sites across the city. 2 September-9 September, various venues, Bristol. Responding to the beautiful and intriguing landscapes, ecology and specific context of the Isle of Portland, the biennial b-side festival returns for its fourth outing. A programme of events and talks will run alongside new site-specific live art, visual art, sound and film commissions that offer a series of encounters with overlooked and secret places on the island. Founded in 1951, this festival is the second oldest biennial after Venice. The focus is making contemporary art better known in Brazil and further establishing São Paulo as an international art centre. The 32nd edition features 90 artists and collectives from across the world, and will focus on notions of uncertainty. 10 September-11 December, various venues, São Paulo, Brazil. The self-styled largest fair of critically engaged visual art outside of London returns to Manchester for its seventh edition. The twelfth edition of this international celebration of the art of film will once again transform the border town of Berwick-upon-Tweed into one big cinema screen through film premieres, site-specific installations and live events. 21-26 September, various venues, Berwick-upon-Tweed. Billing itself as the ‘contemporary art event of the year’, this year sees Frieze London (and the smaller Frieze Masters) move to a new, earlier slot. With around 1000 international artists and 170 galleries, as usual the main exhibition is complemented by a popular programme of talks, events and special commissions. 6-9 October, Regent’s Park, London. The Cardiff-based international art prize returns with seven artists in the running for the £40,000 award, the largest art prize in the UK. The shortlisted artists are: John Akomfrah (UK); Neil Beloufa (France/Algeria); Amy Franceschini/Futurfarmers (USA/Belguim); Lamia Joreige (Lebanon); Nástio Mosquito (Angola); Hito Steyerl (Germany/Japan); and Bedwyr Williams (UK/Wales). 25 October-February 2015, Wales’ National Museum of Art, Cardiff. The final leg of the British Art Show‘s UK tour takes place in Southamption at the John Hansard Gallery and Southampton City Art Gallery. 8 October-14 January, John Hansard Gallery and Southampton City Art Gallery, Southhampton. The 2016 edition of gallery education advocacy and support organisation engage’s annual conference will take place in Liverpool.